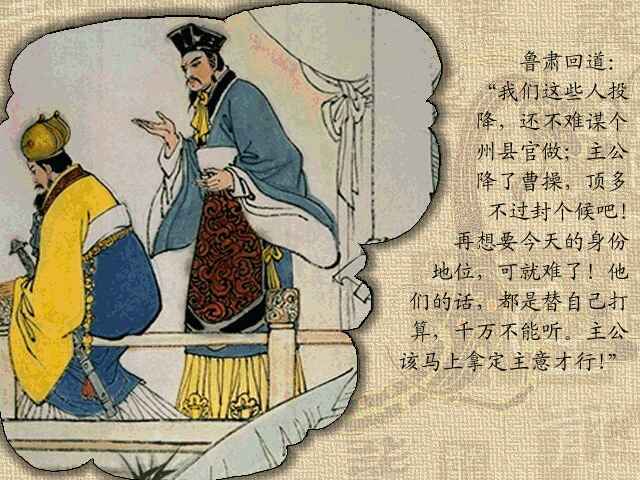 36 When Deng Zhi told his chief of the bad behavior of Chen Shi and Wei Yan, Zhuge Liang only laughed. 37 Said he, "Wei Yan has been disposed to disobey and resent. However, I value his valor and dedication, and so I have employed him. But he will do real harm some day." 38 Then came a messenger, who reported, "Chen Shi had fallen into an ambush and lost more than four thousand troops. He has led his remained five hundred horse back to the gorge." 39 Zhuge Liang sent Deng Zhi back again to Gu Valley to console with Chen Shi and so keep him from actual mutiny. 40 Then Zhuge Liang called to his tent Ma Dai and Wang Ping, and said, "If there are any troops of Wei in the Xie Valley, you are to go across the mountains, marching by night and concealing yourselves by day, and make for the east of Qishan. When you arrive, make a fire as a signal." 41 Next he gave orders to Ma Zheng and Zhang Ni, saying, "You are to follow the by-roads to the west of Qishan. You are also to march by night and conceal by day. Then you are to join up with Ma Dai and Wang Ping. The four of you shall make a joint attack on Cao Zhen's camp. I shall lead the army through the valley and attack the camp in the center." 42 After the four Generals left, Guan Xing and Liao Hua also received secret orders. 43 The armies marched rapidly. Not long after starting, two other detachments led by Hu Ban and Wu Yi received secret orders and left the main body. 44 The doubts about the coming of the Shu army made Cao Zhen careless, and he allowed his soldiers to become slack and rest. He only thought of getting through the allotted ten days, when he would have the laugh against his colleague. 45 Seven of the days had passed, when a scout reported a few odd men of Shu in the valley. Cao Zhen sent Qin Liang with five thousand troops to reconnoiter and keep them at a distance. 46 Qin Liang he led his troops to the entrance of the valley. As soon as he arrived, the enemy retired. Qin Liang went after them, but they had disappeared. He was perplexed and puzzled, and while trying to decide, he told the troops to dismount and rest. 47 But almost immediately he heard a shout, and ambushing troops appeared in front of him. He jumped on his horse to look about him, and saw a great cloud of dust rising among the hills. He disposed his troops for defense, but the shouting quickly came nearer, and then Hu Ban and Wu Yi appeared advancing towards him. Retreat was impossible for Guan Xing and Liao Hua had blocked the road. 48 The hills were on both sides, and from the hill-tops came shouts of "Dismount and yield!" 49 More than half did surrender. Qin Liang rode out to fight, but he was slain by Liao Hua. 50 Zhuge Liang put the Wei soldiers who had come over to his side in one of the rear divisions. With their dress and arms, he disguised five thousand of his own troops so that they looked like his enemies, and then he sent this division---under Guan Xing, Liao Hua, Wu Yi, and Hu Ban---to raid Cao Zhen's camp. Before they reached the camp, they sent one of their number ahead as a galloper to tell Cao Zhen that there had been only a few men of Shu and they had all been chased out of sight, and so lull him into security. 51 This news satisfied Cao Zhen. 52 But just then a trusty messenger from Sima Yi came with a message: "Our troops have fallen into an ambush, and many have been killed. Do not think any more about the wager: That is canceled. But take most careful precautions." 53 "But there is not a single soldier of Shu near," said Cao Zhen. 54 He told the messenger to go back. Just then they told him Qin Liang's army had returned, and he went out to meet them. Just as he got near, someone remarked that some torches had flared up in the rear of his camp. He hastened thither to see. As soon as he was out of sight, the four leaders waved on their troops and dashed up to the camp. At the same time Ma Dai and Wang Ping came up behind, and Ma Zheng and Zhang Yi came out. 55 The soldiers of Wei were trapped and helpless. They scattered and fled for life. Cao Zhen, protected by his generals, fled away eastward. The enemy chased them closely. As Cao Zhen fled there arose a great shouting, and up came an army at full speed. Cao Zhen thought all was lost, and his heart sank, but it was Sima Yi, who drove off the pursuers. 56 Though Cao Zhen was saved, he was almost too ashamed to show his face. 57 Then said Sima Yi, "Zhuge Liang has seized Qishan, and we cannot remain here. Let us go to River Wei, whence we may try to recover our lost ground." 58 "How did you know I was in danger of defeat?" asked Cao Zhen. 59 "My messenger told me that you said there was not a single soldier of Shu near, and I knew Zhuge Liang would try to seize your camp. So I came to your help. The enemy's plan succeeded, but we will say no more about that wager. We must both do our best for the country." 60 But the fright and excitement made Cao Zhen ill, and he took to his bed. And while the army were in such a state of disorder, Sima Yi was afraid to advise a return. They camped at River Wei. 61 After this adventure Zhuge Liang hastened back to Qishan. After the soldiers had been feasted and services recognized, the four discontented leaders---Wei Yan, Chen Shi, Du Qiong, and Zhang Ni---came to the tent to apologize. 62 "Who caused the loss?" said Zhuge Liang. 63 Wei Yan said, "Chen Shi disobeyed orders and rushed into the valley." 64 "Wei Yan told me to," said Chen Shi. 65 "Would you still try to drag him down after he rescued you?" said Zhuge Liang. "However, when orders have been disobeyed, it is useless to try and gloze it over." 66 Zhuge Liang sentenced Chen Shi to death, and he was led away. Soon they brought his head into the presence of the assembled generals. Zhuge Liang spared Wei Yan as there was yet work for him to accomplish.